Mark is the lead financer at Premier Equipment Finance in Sudbury and is a very committed and driven representative in our community. Born and raised here in Sudbury, Mark is a part of several committees regarding education and conservation of our resources here and across Northern Ontario. Mark has 20 years experience in finance and has the ability to identify exactly what his client require financially. He can also recommend vendors across Canada if the equipment they are purchasing is not available in their city. Mark is always willing to go the extra mile to make the client’s experience pleasant and hassle free. Greg is a finance specialist for Premier Equipment Finance in the Thunder Bay, Ontario region. Greg has a strong background in the services industry with over 15 years with LOEB / IGA as Manager of Marketing and Procurement and 10 years with the PEPSI Bottling Group as Territory Manager in North Bay and Thunder Bay. Greg has extensive media experience with over 16 years in radio and television sales. Greg is a past President of the THUNDER BAY EXECUTIVES ASSOCIATION and currently serves on their Board of Directors. He volunteers with the Thunder Bay CHAMBER OF COMMERCE and SKATE CANADA NORTHERN ONTARIO. Greg looks forward to helping you FINANCE YOUR POTENTIAL. Shawn started as a mechanic in heavy equipment, truck and coach. He has a great knowledge of many different aspects in the industry, followed by 15 years of commercial, residential and industrial construction. Over the course of his journey he has built up a strong perception of clients understanding, needs and expectations. Striving for success as a Finance Specialist with Premier Equipment Finance, Shawn will deliver quality service to all our clients from our Edmonton, Alberta office and surrounding areas. Shawn looks forward to helping you finance your potential and realizing your goals today. Paula is our Finance Specialist serving Sault Ste. Marie and the Algoma Region. 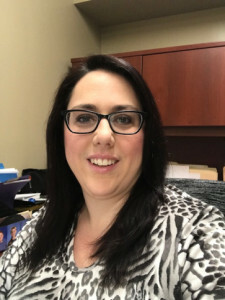 Paula brings two decades of business experience in sales, leasing and financing, notably with Grant Equipment as Territory Manager, Battlefield Equipment as Branch Manager, and in the early days, as a part of the Sudbury Mack Service and Credit Granting team. She has extensive knowledge of heavy, compact, lift and aerial equipment, as well as tractor/trailers. 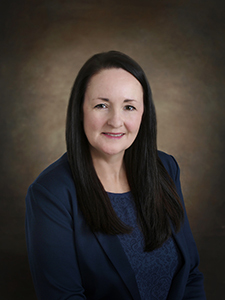 As a lifelong resident of Northern Ontario, Paula understands our specific challenges to life and operating in the north and can create solutions to help your business grow and prosper. Paula welcomes the opportunity to assist you with any of your equipment financing needs and make your dreams a reality. Josée is our newest member of the team. Josée was born and raised in Timmins and move to Sudbury in 1992. Josée is bilingual and brings great customer service and sales experience with over 14 years from Sears Home. She is new to the finance department, but has a strong work ethic, ready to learn and can take on any challenges that she faces. She will assist clients anyway that she can and will go the extra mile to make sure that the client’s experience is pleasant and make them feel part of the Premier Equipment Finance family. Josée is looking forward to helping you and your financial needs.